The application process for family-based immigrant visas can become exceedingly complicated for individuals who want to be reunited with their family members living in the United States. At the Law Offices of Ursula Trimming, Esq., we understand the complexities involved family-based visa application processing. We are prepared to help you and your family work through all the paperwork that will be required of you to complete each of your applications. 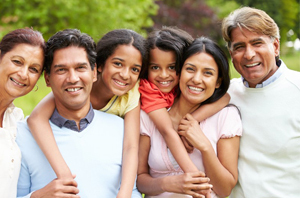 Uniting U.S. citizens and lawful permanent residents (green card holders) with their overseas family members is an important goal set forth by immigration law in the U.S. The law sets strict guidelines for which family relations are green-card eligible and how many individuals will be allowed into the U.S. per year based on that category. Some categories have waiting periods while others do not. Further, the U.S. family member must petition for and financially sponsor the immigrant before he or she will be allowed to apply for a green card. We believe reuniting family members through immigration is important. We can help you take the right legal steps to bring your spouse, child, parents, or siblings to the U.S. legally. Any error made in your application for your family-based immigration visa may cause it to be denied by the United States Citizenship and Immigration Services (USCIS). Bearing that in mind, you should consider working with an experience immigration attorney who understands the complications and can minimizes the chances of it occurring. Please Contact Us to setup a time to speak with a qualified attorney about your case.